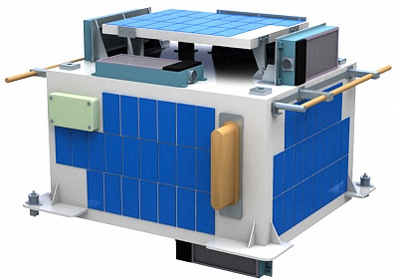 Aist is a russian microsatellite developed by designed by a group of students, postgraduates and scientists of Samara Aerospace University in cooperation with TsSKB-Progress. The satellite measures the geomagnetic field, test the new small space vehicle bus, test methods to decrease microaccelerations to a minimum level and measure micrometeoroids of natural and artificial origin. The protoype unit was launched piggy back on the maiden flight of the Soyuz-2-1v Volga launch vehicle, while the first flight unit hitched a ride on a Soyuz-2-1a with the Bion-M 1 satellite.